Ever wanted to learn how to play the guitar, but never had a great way to learn? A new Kickstarter project may just have what you need. Kickstarter is home to all kinds of weird, wonderful and plain old whacky things. Technology-related toys are always popular on the project backing site though, and the gTar is proving to be just another exciting venture that is capturing the hearts and minds of the technological elite. Once you get past the rather awful name, the gTar is actually very interesting from both a technological standpoint and a pure marketing one. What’s better than a guitar that can help to teach you how to play it? 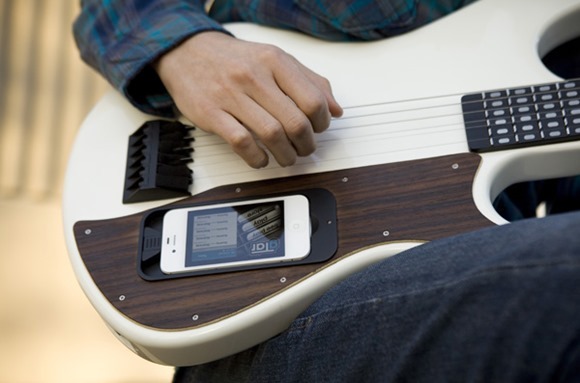 Well, a guitar that hooks right into your iPhone of course. That, at its core, is exactly what the gTar is. Expected to retail at around $500 once the Kickstarter project runs its course, buyers can snag one for $350 by getting their wallets out right now and backing the project via Kickstarter. With around 34 days left, the project sees itself around 20% funded. There’s still a fair way to go before reaching that $100,000 goal, so if you are interested we highly recommend getting in there soon. If not, the project may never get off the ground. So, what is the gTar? Simply, it is a digital guitar that has a slot for an iPhone. 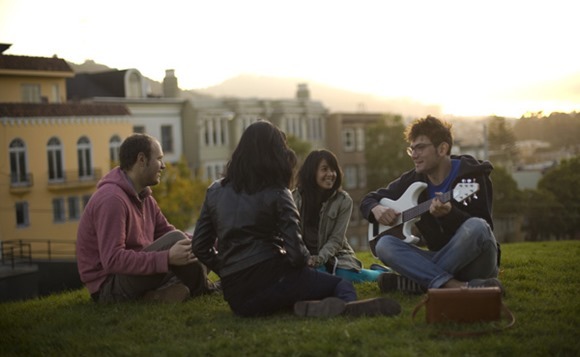 In conjunction with the accompanying app, the gTar allows users of all levels of musical ability to play a selection of songs. With three training levels included, the guitar aims to make learning the guitar as easy, and as fun as possible. New content will apparently be added on a weekly basis, according to the company behind the gTar, giving buyers a stream of new music to play and learn. Hardware-wise, the gTar uses senses instead of vibrating strings in order to create sound, giving the whole thing a distinctly 21st century feel. 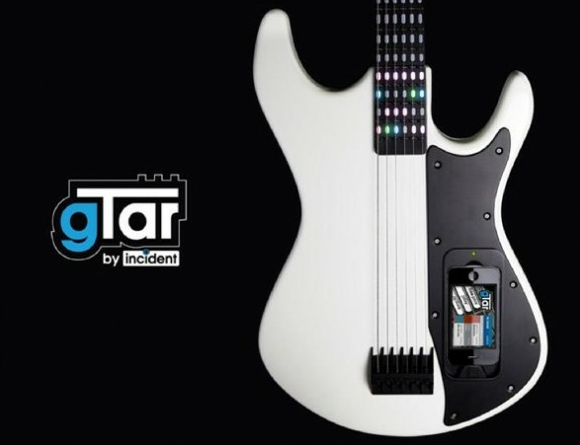 The gTar could potentially change the way people learn to play the guitar, and having an iPhone involved may just provide the hook some people need to begin the learning process. Now the gTar just needs to reach that lofty $100,000 goal.